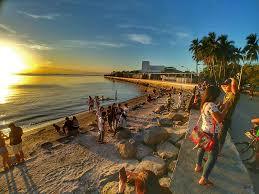 The leftist congressmen want to postpone the Manila Bay Rehabilitation Program. 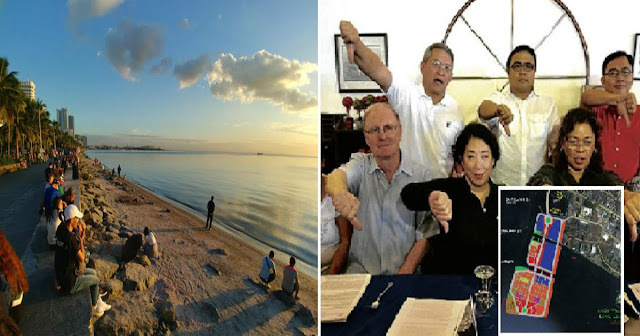 Together with the farmers and fishermen, the group submitted a resolution. Among them are the Anakpawis Congressman Ariel Casilao, the resolution of the Alliance of Concerned Teachers Representatives Antonio Tinio and France Castro, Bayan Muna Representative Carlos Zarate, Kabataan Representative Sarah Elago, Gabriela Representatives Arlene Brosas and Emmi de Jesus. The leftist Congressmen want that the Congress will recommend the Department of the Environment and Natural Resources (DENR) to publicize the rehabilitation master plan, conduct public consultation to people who will be affected to the rehabilitation. According to them, it is important to have a thorough study of its impact on marginalized sectors. The rights and livelihoods of these sectors should not be violated. 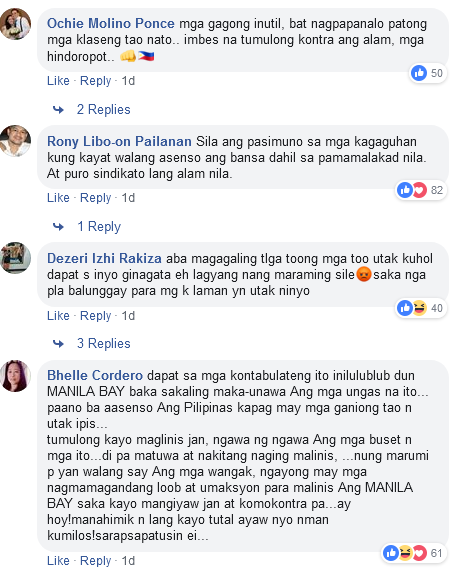 According to leftiest lawmakers, about 250,000 informal settlers will lost their houses due to Manila Bay Rehabilitation. 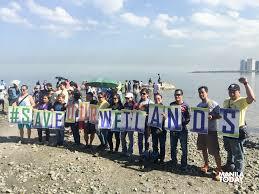 Last Sunday, Filipinos joined together to the Solidarity Walk for Manila Bay Clean-up. More than 5,000 people gathered to support the program. 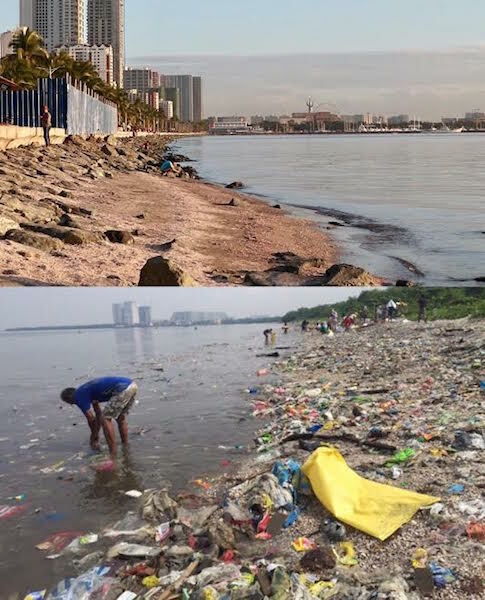 And it went viral to social media the positive result of the newly cleaned Manila Bay. 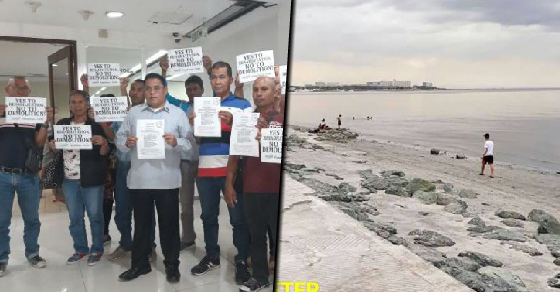 The cleaning of Manila Bay is one of the agenda of President Rodrigo Duterte. He recently directed the DENR to clean up the area. 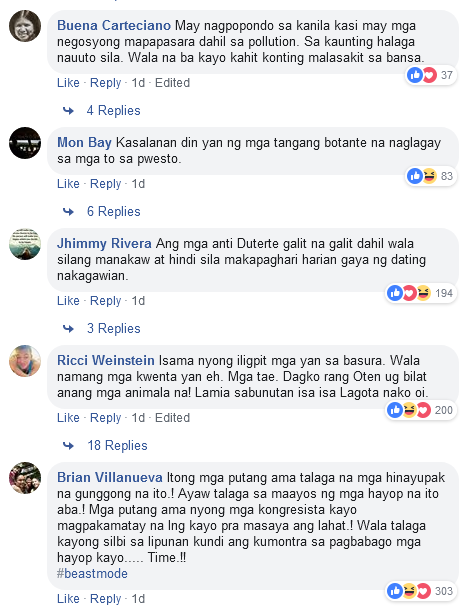 He also threatened to shut down businesses around Manila Bay if they would not be able to install water treatment systems.